December 17, 2014, New York – ONO, Spain’s leading fiber optic communications company, and Fashion One LLC, the international network for fashion, entertainment and lifestyle television, jointly announce the launch of FO HD to the platform’s HD TV channel line-up. Broadcasted through the network’s dedicated Spanish feed for the country, the channel will be available to ONO’s more than seven million cable subscribers on Channel 114 starting December, 2014. FO HD caters to the fashionable and stylish female audience with content covering the very latest fashion, entertainment, lifestyle news, A-list celebrity profiles, luxury brands, holiday destinations and red carpet events. Showcasing all the international fashion weeks from around the world, it also delivers a strong line-up of original programmes, from reality shows to documentaries, beauty tips, and street styling. With the network’s exclusive incorporation with ONO, FO HD is the 50th HD channel of the cable provider, the biggest high definition offer in the market. After the successful release of Elite Model Look Spain 2013 early this year, the localized Spanish channel continues the endeavour with another instalment of the annual competition with Elite Model Look Spain 2014. This 2-part series, produced entirely in Spanish, follows aspiring models from the cities of Barcelona, Madrid, Bilbao, Malaga and Santander, as they strive to become the next Elite model to represent Spain in the Elite Model Look World Finals in China. Among the channel’s most sought-after special programming are our annual year-end countdown specials, Top 10 Most Stylish Celebrities 2014 and Top 10 Designers 2014, which unveils the top fashion personalities who made headlines in 2014. 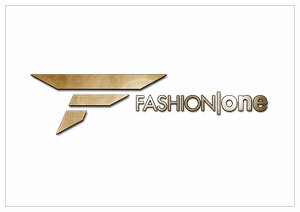 Viewers can also keep up to date with the latest fashion news with Fashion Frontline.